As my research on the early days of college field hockey in the United States continued, I was surprised to learn that the sport was played in the western part of the country much earlier than I had previously thought. I inadvertently stumbled across evidence that the sport was played by women at the San Diego Normal School (now known as San Diego State University) as early as 1903, which inspired me to research the state of California in more detail. I eventually learned that women at Stanford took up field hockey around the same time, although in neither case have I been able to trace the origin of exposure to the sport. 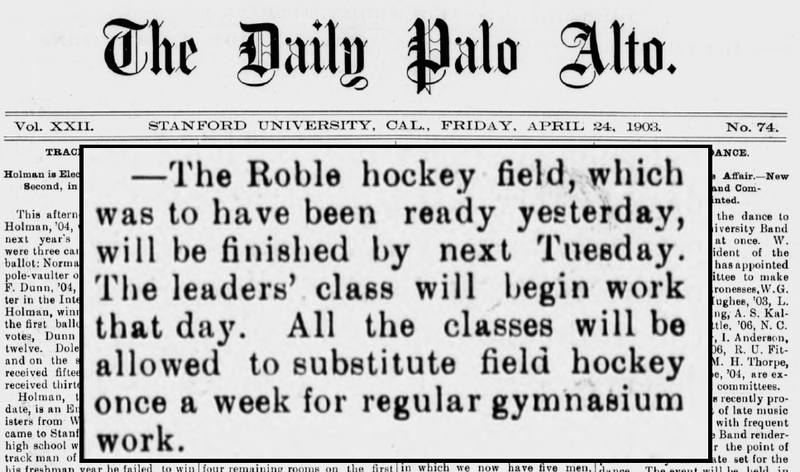 Through the digitized archives of the Stanford school paper, I was able to trace the events surrounding the first introduction of field hockey there in 1902 and 1903. But while the Stanford class of 1903 may have graduated without their promised chance to play field hockey, by October things were looking better. 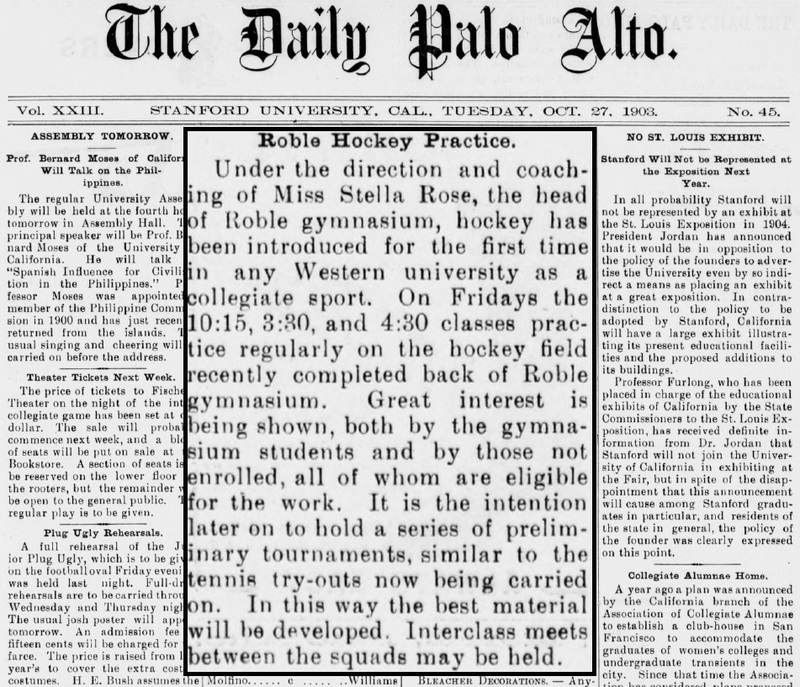 Interest in field hockey at Stanford waxed and waned several times over the following decade before taking hold for good in 1917, when an ongoing series of intercollegiate games with Mills College and the University of California were first taken up. More recently, Stanford has finished in first place in the Northern Pacific Field Hockey conference in each of the past six seasons. They lost to eventual national champion UConn in the second round of the 2014 NCAA Division I tournament. Posted on February 26, 2015 December 7, 2015 by Eric MeanyTagged San Diego State, Stanford, Stella Rose.